Unfortunately, we can no longer offer a mail-in option. Please click on the link above to register for the race. 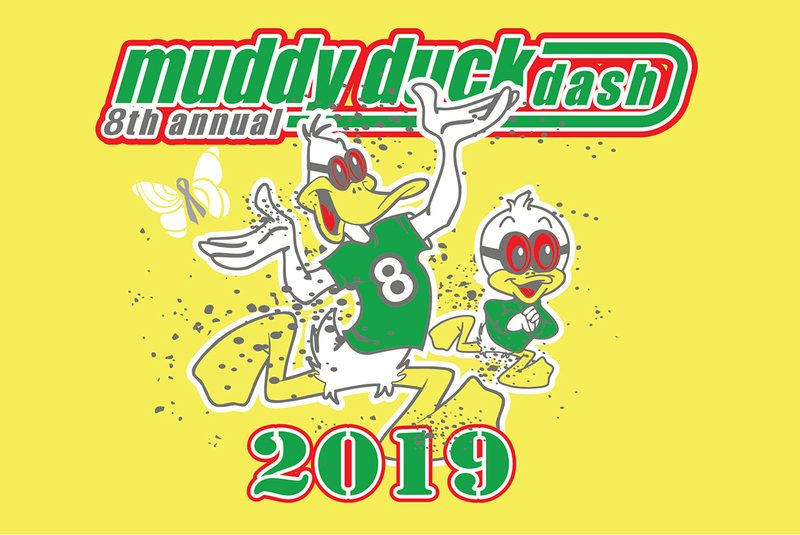 Kids are welcome to register for the 3.5 mile event if parents feel they are capable – age does not limit anyone from the Muddy Duck Dash. We offer a kid’s race to encourage youth fitness and family activities. No other “obstacle race” has kid friendly distances! We have had kids from 5 and up complete the 3.5 mile distance. $60 Race-day **Day-of registration opens at 6:30am April 27 at registration in packet pickup area. No team discounts on race day. Estimated kids race start time is 11:00. All participants receive a shirt and finisher medal. We do our best to honor the sizes requested when registering, but cannot guarantee shirt sizes received after April 1, 2019. Any t-shirt exchange requests may be made on race day, after pre-registrants have collected their shirts (est 10:30am) . We offer a fun/competitive event without the extrinsic rewards – this is a family and fun event for a great cause (funding brain tumor research)! Come laugh, goof off, and have a great time while getting exercise with your family and supporting a great cause, the Southeastern Brain Tumor Foundation! Contact us if you have questions or would like additional information and Thanks! Looks like fun – going to try and get some folks to come and do it with me. Is there a hotel that will be used? Can someone confirm our registration? We have registered by mail.Jessica and Josh Hagood. Thanks! Yes. I sent you an email response, right? Can I pick up my daughters packet when I pick up mine?